﻿An amazing story - Discovering you had actually bought one of the most important motorcycles in the history of the sport of Trials. The story of Sammy Miller is quite amazing. If you haven't read his book I would strongly recommend it. Although the book written by Mick Walker does not concentrate on Bultaco development in the detail I would have liked, it does provide a great overview and insight into the huge contribution that Sammy has made to the World of motorcycle development. The simple fact, is that Sammy is exceptional in his field. No one can achieve as much as he has without passion, vigour, vision and the courage to follow your dream and ideas uncompromisingly. Whilst older motorcycle enthusiasts might have followed Sammy’s career from one field of motorcycling to another, younger people (Yes I count myself as one of them ) might have missed it all, only reading a few glancing headlines in bookshops , magazine pages and having a rough idea of his achievements. Without completing a full biography on Sammy, which had been done reasonably well already, i have compiled Sammy’s main achievements and career moments of note, in chronological order. Started riding in 1948 at the lofty age of 15 on a £10 Francis Barnett. Started competition riding Grass track on a 150cc New Imperial. At 18 (1951) years of age built his own motorcycle ( the Samuel Hamilton Special ) learning on the job, riding it in trials competition, continually modifying it. 1954 and Sammy won his debut road race on a 348 AJS averaging one of the fastest speeds ever at the Cookstown 100 . 10 days prior to this event Sammy had won a special first class award at the SSDT. 1955 and spotted by NSU motorcycles UK importer Sammy was given a sponsored World GP road race ride. Introduced to road racer Artie Bell who helped guide Sammy’s career and became Sammy’s hero. Sammy also rode in other engine class sizes winning regularly for Norton. He won the NorthWest 200 in addition to numerous other titles. Sammy was already riding Trials and motocross at this stage. Sammy had entered the 1956 SSDT on his James motorcycle but had bike problems. Terry spoke with his friend, the boss of Ariel and got Sammy a bike for the 1956 SSDT. This was the newly introduced 497cc HT5. Sammy made his Ariel trials debut on the famous “GOV 132”. Coming 6th place. 1957 and Sammy signs to ride for the major World GP team FB Mondial achieving podium placings and an end of year career best of 3rd place. 1957 onwards and Sammy was riding 2 Trial events each weekend for years picking up win after win after win.! 1958 and Sammy loses his ride with Mondial and rides different classes on both Ducati and CZ, achieving 2nd at the World Austrian GP and other excellent placings on the Ducati 125cc in the leight weight class and CZ. 1958 Sammy won the Scott trial after never previously being credited with a finish. 1959 and Ariel was consumed by BSA. BSA chose to end 4 stroke Ariel production and Sammy lost his ride buying “GOV132” for just £1. Sammy went privateer and continued to compete in trials and scrambling. 1960 Sammy rode to the top of Ben Nevis with the famous motocrosser Jeff Smith, who described it as being “One of the most memorable days of my life”. 1960 - 1964 a catalogue of wins in trials and scrambling, a return to road racing solo and sidecar as well as a 62 and 64 SSDT. Oh ... And a telephone call from Paco Bulto. 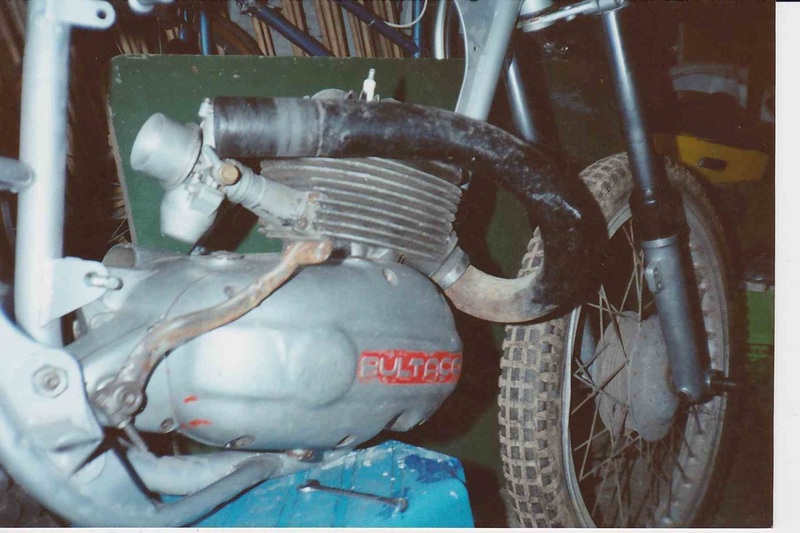 1964 - Created a new Bultaco Sherpa N model taking performance so far ahead it rendered the previously dominant British motorcycle industry redundant. On its release the Rickman Bultaco importers whilst at the Earls Court show took orders for £100,000 of machines. Despite this, a MCN article asking for readers to show their preference of either Ariel or of the Bultaco, 60 readers chose the first and none the latter, citing anticipated reliability problems and “It's a mans machine”. Sammy challenged the author Ralph Venables to a back to back bike competition, but it didn't happen. Sammy stacked up win after win on the Bultaco turning the tide of opinion and rendering the heavy 4 strokes useless. The 1965 SSDT win by Sammy silenced the critics who stated that Sammy would not be able to master the Bultaco. 1965 and in a Motorcycle news Poll of machines Sammy’s Bultaco was top foreign machine. 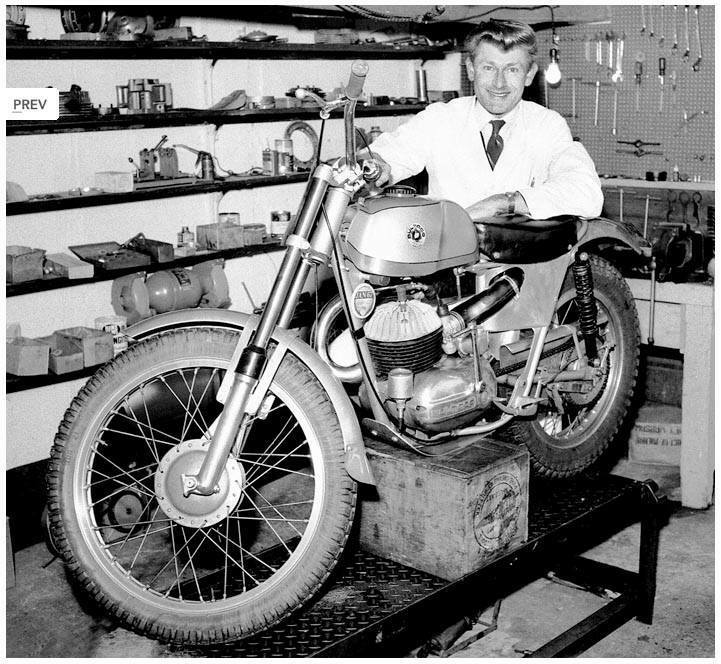 1966 and Sammy stays with Bultaco after the factory sold 600 Sammy replicas. And so it continued. 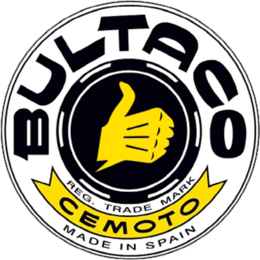 Sammy signed with Bultaco for another 3 years and kept racking up the wins. 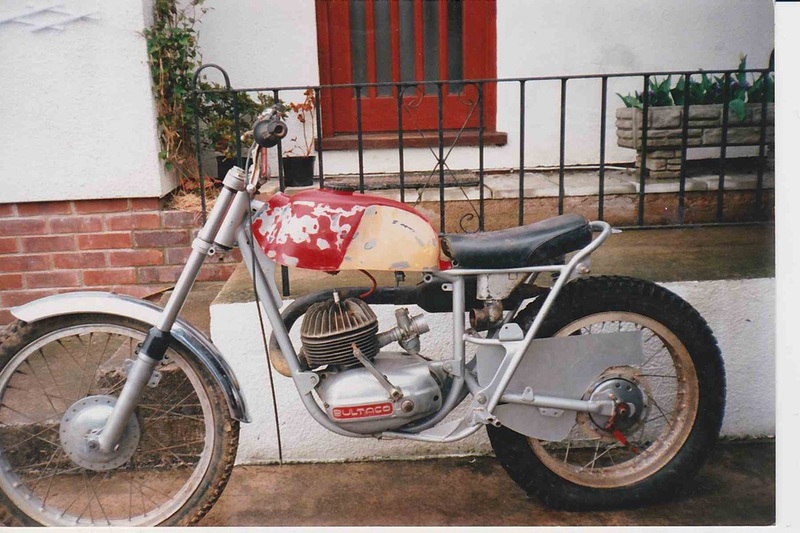 In the late 1960’s Sammy created a Bultaco framed, Viller engined trials special. Engine supply problems brought the project to a close with only a few units made. By now Sammy had 3 Scott wins on the Ariel and 4 in succession on the Ariel. 1969 and Sammy set on a World tour promoting Bultaco and the Trials sport. 1970 and Sammy quits National and International trials concentrating on running the Bultaco UK Trials team of Martin Lampkin, Jim Sandiford, Syd Lampkin, Geoff Chandler, Malcolm Rathmell and Paul Dunkley. 1974 Sammy signs with Honda and develops the Honda TL250 high boy and TL301 after work on the TL125 and XL 250. Without this development its highly unlikely the Jefferies, Shepherd, Lejeune, Saunders TLR bikes would have ever existed. Sammy found the committee slow World of Honda far from his way of working. 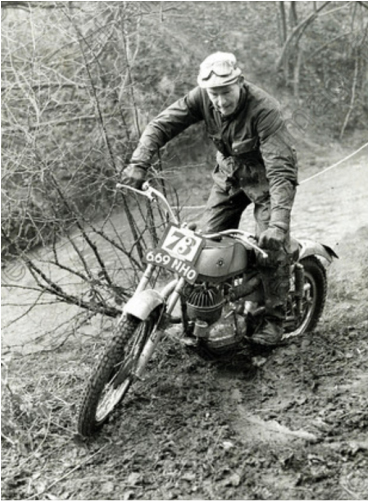 1976 Sammy Miller runs the 1976 SSDT trial team. 1978 Sammy joins SWM as development and team rider. 1979 Sammy leaves SWM but had already in Jan 1979 signed with Andrea Mosconi owners of the Hiro engine concern to develop an engine for trials use. The bottom end was basically the same as the existing motocross unit, but with 2 flywheels and normal transistor ignition to save costs. This engine went on to be the most popular engine in the history of trials sold to Aprilia, Ancillotti, TMG, CCM / Armstrong and with the design adopted by Villa, GasGas and Sherco - phew !!. Sammy received royalties on the sale of all Hiro engines. 1979 using the same engine Sammy creates the Miller - Hiro project advertising bikes at below the costs of other manufacturers. The project stalled due to the global recession and the huge capital outlay needed. 1980 and Sammy Miller products starts manufacturing many components for new and old bikes alike. 1981 Sammy signs with Alan Clews and CCM / Armstrong. CCM were pushing ahead with trials bike production using this Hiro engine. 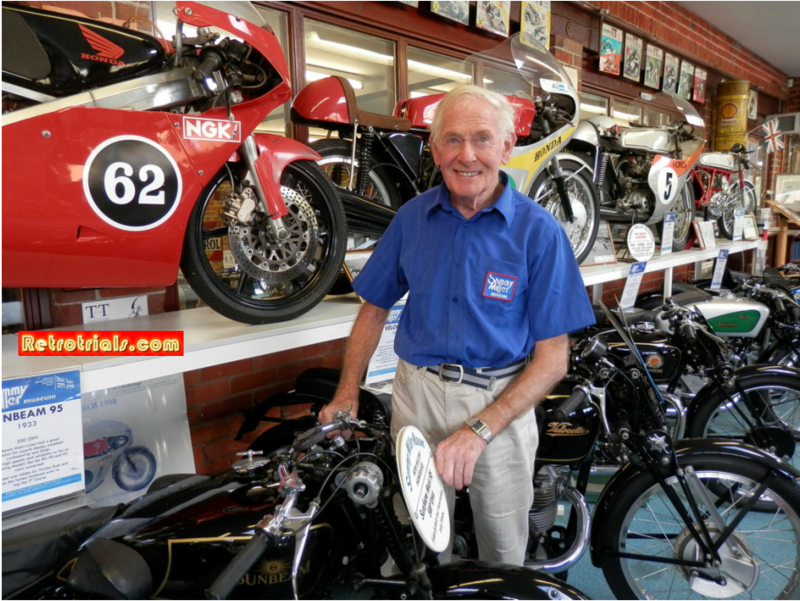 2009 Sammy is awarded the MBE for his services to motorcycling heritage. 9 gold medals in the prestigous ISDT. I hope you now feel suitably briefed. Jon Mathews bought this 669NHO purely by luck and entirely because of his brother Martin Mathews from motoswm.co.uk. This is Jon's story, in his words. Jon's words will be shown in Blue. A guy that we knew was selling a job lot of bikes back in 1990 when I was about 23. I remember there being a 4 speed Bultaco that was up together, another Bultaco and also an early Montesa and something else, all for £400. The plan was that we would sell 2 of them to do the Bultaco‘s both up. We sold the Montesa almost straight away and that gave up some money to do the other 2 up. We bought them locally from Somerset and Martin said to me, "Which of these 4 speeds do you want ?". ​I looked at the other one and that had the cut away and I decided that I’d have the one needing all of the work. We were both happy and that was that. I then went to university and did very little with it. 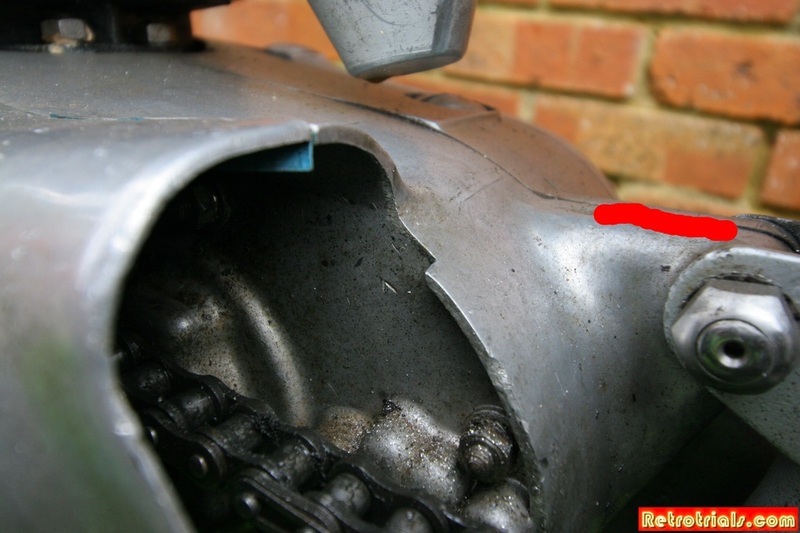 Was it a fairly complete bike when you bought it ? Im going to send you a picture down taken at the time I bought it . The engine, the wheels the frame the forks the wheels, exhaust pipe were on it. Then I managed to get hold of a petrol tank. The mudguards are off the shelf items. The rest of the bike was there pretty much. As I said, I've had many 4 speed Bultacos but I’ve always hung onto this one because I always had the feeling that it was an unusual sort of thing. These are 2 of the first pictures that I took of my bike, around 1990. Originally it had a seat and tank unit from a model 49 fitted. You can see the homemade bracket that held the model 49 seat unit is still in place. It had been brazed in position and was removed with a hefty hammer. My brother sold me the tank. He had bought it and had it used as a pattern to make 2 new replica tanks. I remember that my father made the inserts.The front and rear wheels were fitted with Dunlop valanced rims.The front wheel is laced up in an interesting way with all the spoke heads showing.